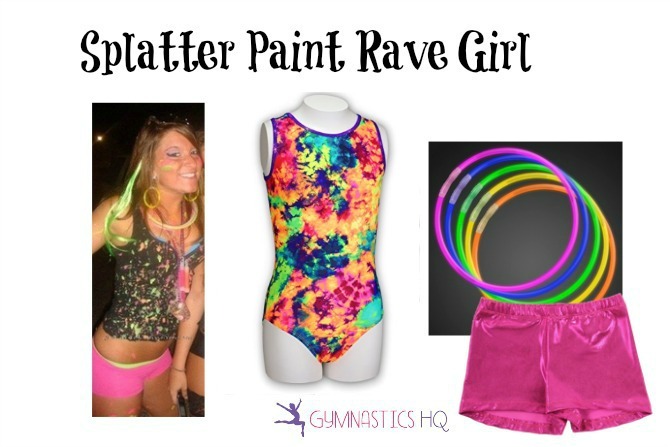 Halloween is just around the corner, so here are 26 Halloween costume ideas using gymnastics leotards, including a gymnast Halloween costume. I love Halloween, but sometimes it can be expensive and time-consuming to come up with a costume. Especially considering the costume you will either wear once while trick-or-treating, or twice if you also wear it to a party. I like the idea of using a gymnastics leotard to put together a costume, because after Halloween you will have a brand new leotard to wear to practice! Some of these costume ideas are more traditional, like a black cat and Elsa from Frozen. Others are more creative, like a girl from a rave and a painting. And stay tuned to the end, for my favorite costume of the set! Want to keep things simple and dress as a gymnast for Halloween! Here is a great gymnast Halloween costume. 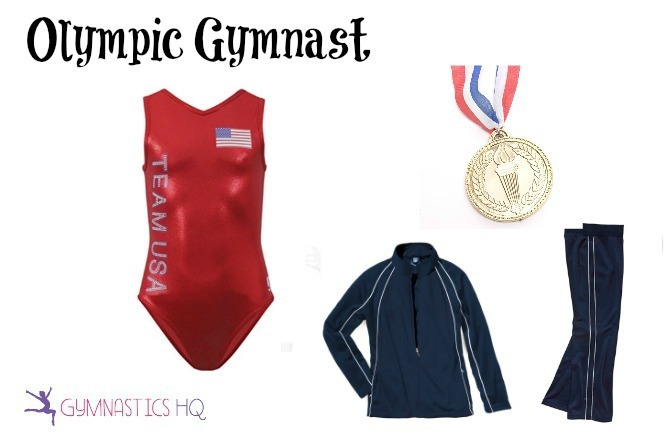 Dress like your favorite Olympic gymnast! Whether it’s Simone Biles, Aly Raisman or Gabby Douglas, you can dress like them with patriotic gymnastics leotards. If it’s Simone Biles you are trying to be, you can wear your hair in a pony tail. If it’s Aly Raisman, then put your hair in her signature bun. Every girl can be a super hero! Especially for Halloween. She can be a more traditional Wonder Woman with the blue gold and red, or her own super hero with teal and pink! Every little girl wants to be a princess, right? I love this pretty pink and white leotard with sparkles. 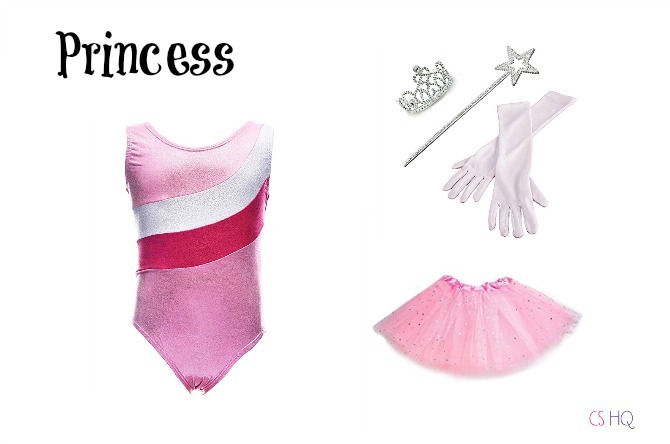 Pair with a tiara, gloves and a wand and you will be a perfect princess! Dress up as a skeleton Day of the Dead style. With leggings, a wig and tutu, you will be all set! 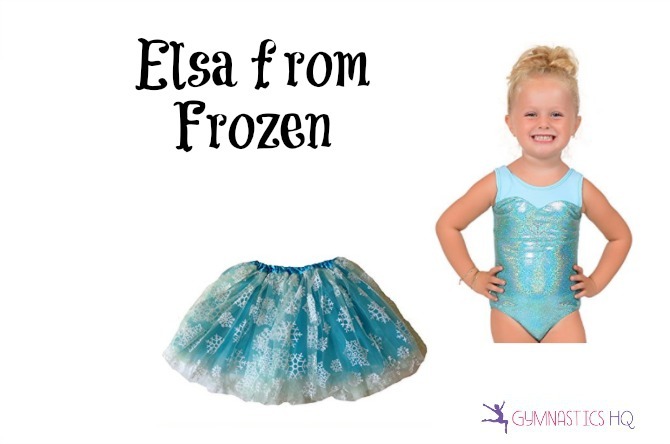 I think this Elsa leotard is so cute, and with the addition of the tutu it makes a great Elsa costume! Style your gymnast’s hair in a braid and she will look great! The Black Cat is such a classic Halloween costume and easy with a brand new shiny leotard. I love how this black leotard has metallic foil bling at the top to add a little edge to your costume! Pair a black leotard with a black tutu skirt, some cat ears and a tail to transform yourself for the night! You can also add a little black eye liner to your face to make whiskers. All little girls want to be fairies for Halloween, right? 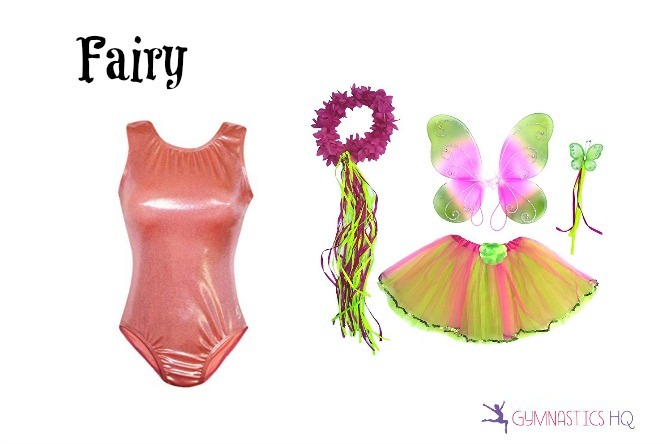 You can make such a cute fairy costume with a gymnastics leotard. You can pair this fairy wing set with a pink or green leotard. Another good thing about this costume is that all these fairy princess props will be great for playing dress up later. 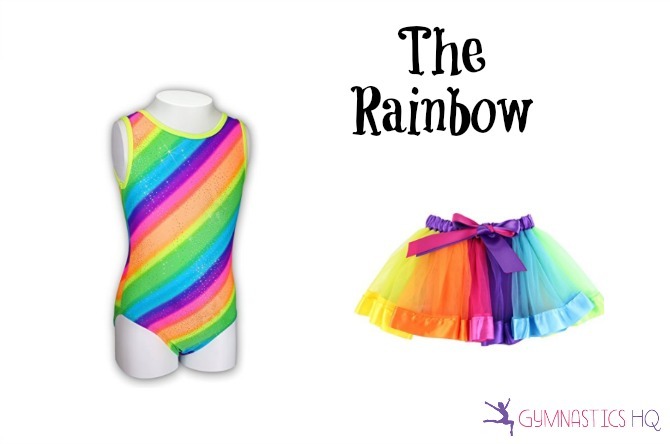 I think being the rainbow for Halloween is such a cute, fun idea and your gymnast can keep wearing the pretty tutu long after Halloween! I think these wings are so pretty! 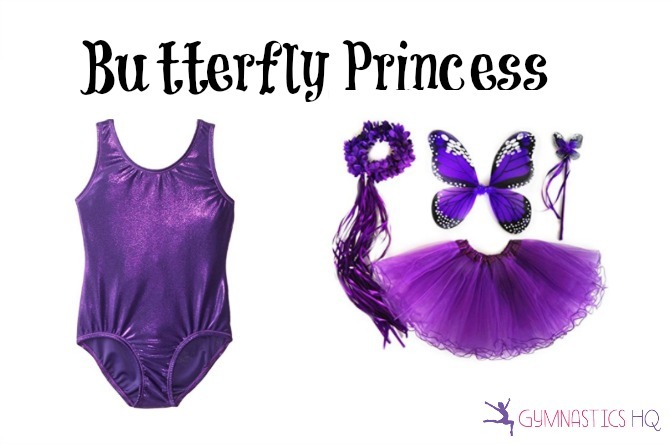 Transform into a Monarch Butterfly with these pretty purple wings and purple leotard. Do you love Rapunzel? Or do you have long hair? Either way, this costume is for you! 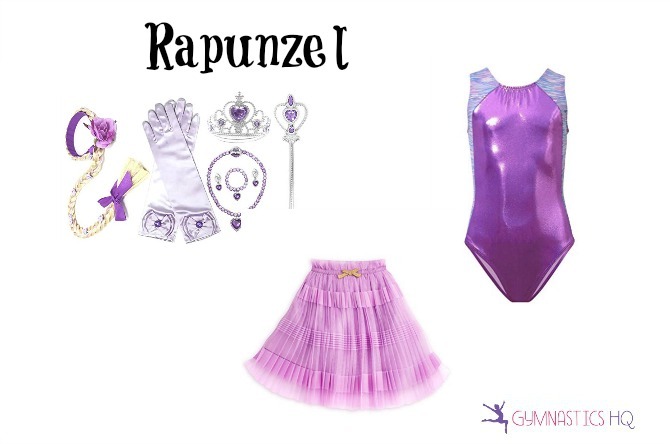 Dress like Rapunzel with a purple leotard and skirt and wear your hair in a braid. 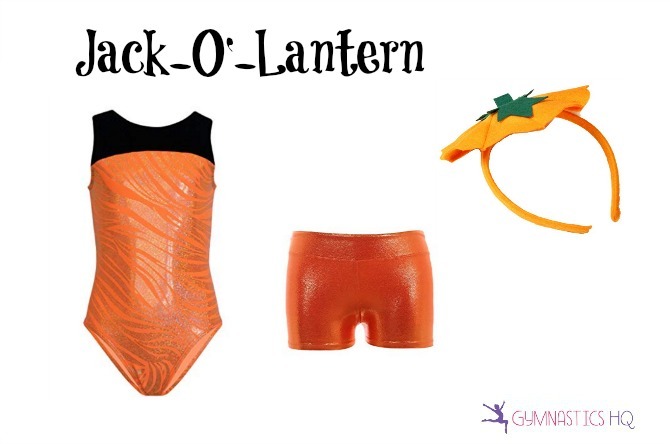 Dress like a Jack-O’-Lantern pumpkin for halloween! An easy costume with an orange leotard, pumpkin headband and orange shorts. 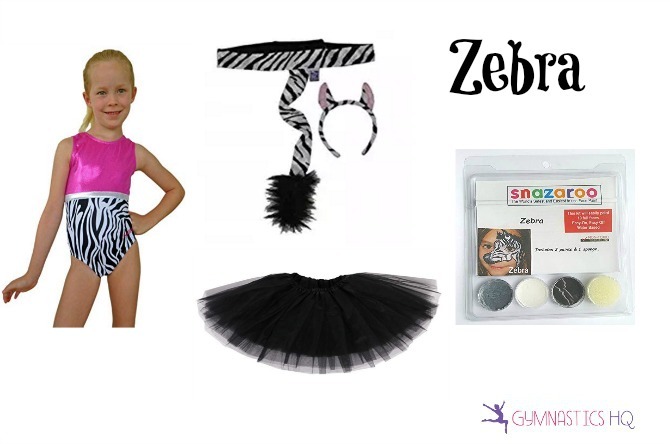 Be a Zebra for Halloween with this unique costume! I have to admit it, I kinda love it. Kinda like I love this Zebra leotard. This costume would be great for little ones, but really any age can be a bumble bee for Halloween. You could use either a black or a yellow leotard. I think the bee tutu and wing set with the leotard would be enough, but you could also pair it with black and yellow tights or the bumble bee leg warmers. 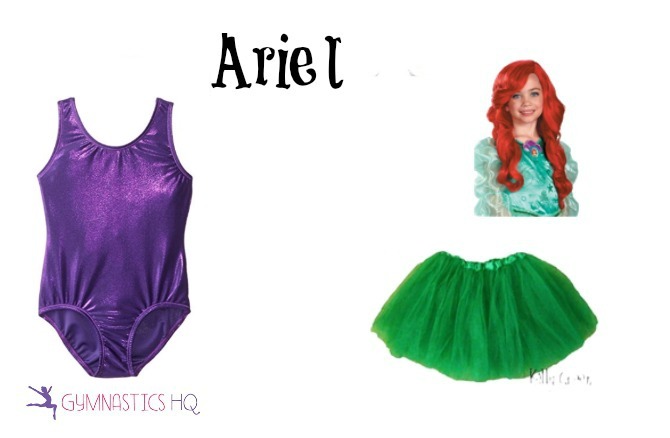 Dress like Disney’s Ariel, from the classic movie, using a gymnastics leotard, a green skirt and a red wig! I’ve loved this mermaid leotard (which can be worn as a swimsuit) from the first time I saw it months ago. So when I thought up this post about putting together Halloween costumes, I knew there had to be a mermaid one. The tricky part is the tail. When I was searching for costume tails, I saw two options. There are some really cute tails where you can’t move or it would be very difficult to walk, so if you are looking for a costume to just hang out in these are great options. Another is a skirt that kind of looks like a tail, which would obviously be more ideal for trick or treating. 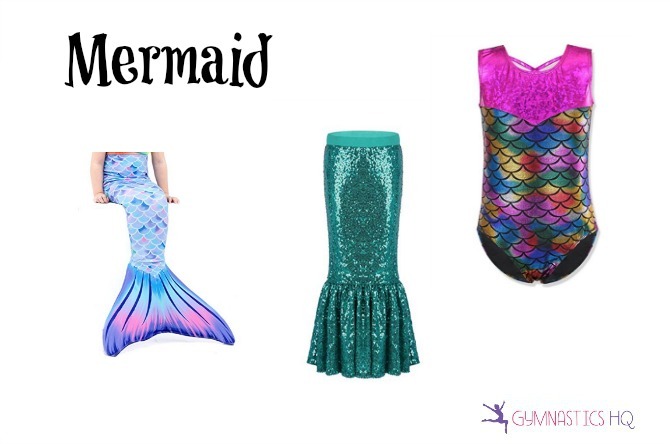 The mermaid tail I’ve listed below can also be used for swimming (just like the leotard) so this is a costume you could get a lot of different wears out of. Become a tribal dancer for the night with a classic silver white leo with an inexpensive wrap around coin skirt. And if you’re up for getting fancy, add a headpiece! 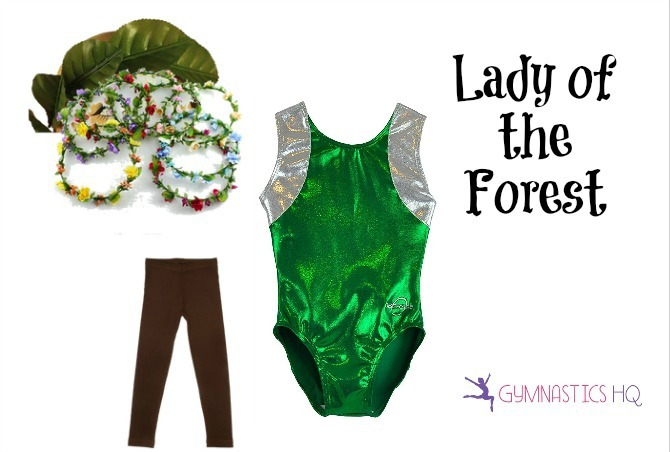 Be a tree or a lady of the forest for Halloween! I love this green strand leotard and you will still be looking great in it long after the holiday. This costume can be put together so inexpensively, if you already have brown leggings, and you can make a leaf wreath crown of your own! I think this is so cute — to be a painting for Halloween. This costume is also super easy! You can be a watercolor art painting by simply pairing a big cardboard frame with a watercolor leotard. I think this leopard costume is so cute! Perfect for any age. A leopard leotard, black leggings, a headband and mask. So easy and so cute. 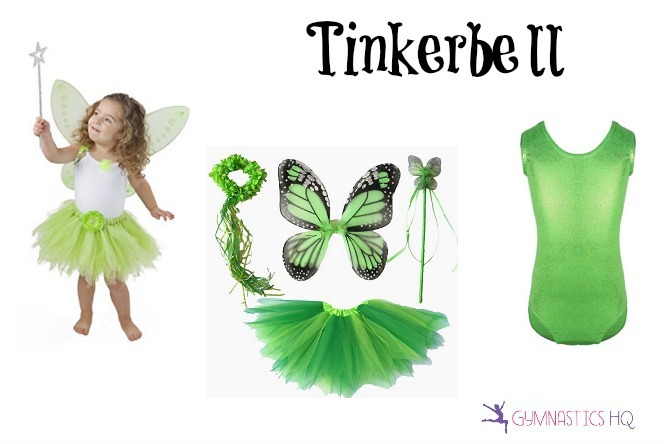 I think these Tinkerbell costume ideas are so pretty! And I really like that light color green leotard, which would look great year-round at the gym. This is another Halloween costume idea that would be great for little ones along with older girls. Older girls can glam up Tinkerbell with a little make-up for trick-or-treating with their friends, or a gym Halloween party. 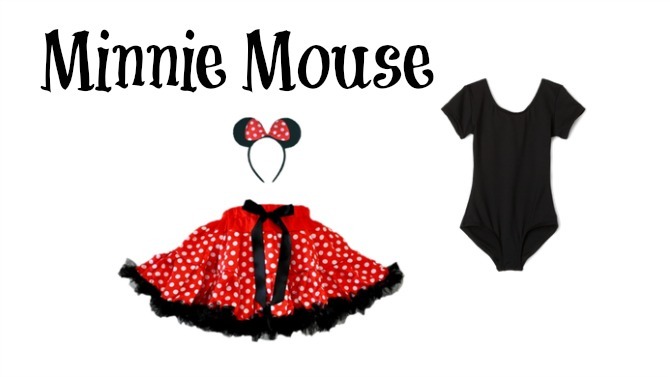 This Minnie Mouse Halloween costume might be the easiest costume on the list — and one of the cutest! 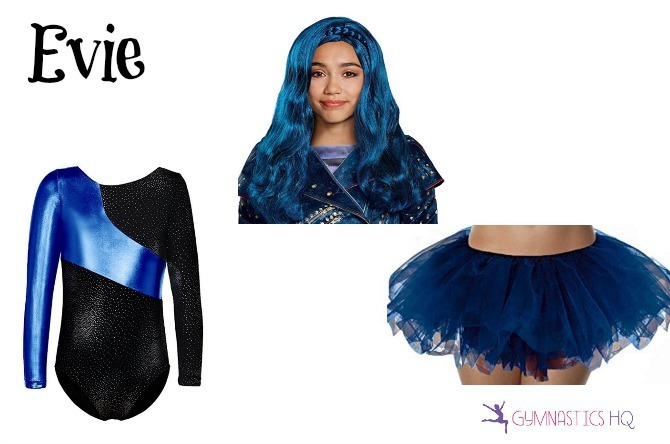 If you already have a black gymnastics leotard, then this costume gets even cheaper and easier! This Ladybug costume might be one of my favorite looks of the list! I think the Ladybug tutu is so cute and I also love the ladybug face paint, which will really take the costume up a notch! And this black and red leotard will be good all year, or you can use a black or red leotard you own. 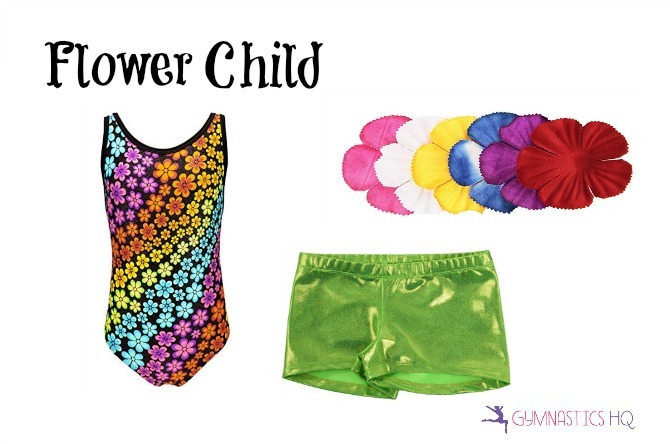 I love how easy this Flower Child costume comes together. And if you like this flower leotard and the green metallic workout shorts, then you will not only have a new Halloween costume, but a gymnastics outfit. You can use these silk flower petals to either attach them to your hair, or to a jacket (using safety pins) that you put on over the leotard. How cute are these mouse ears, paws and tutu?! 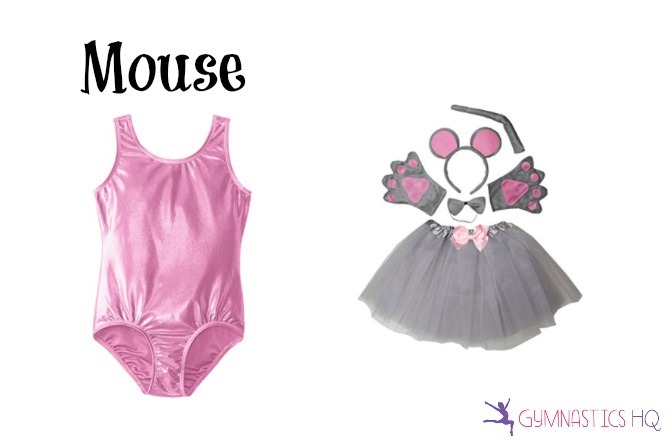 I think a mouse can be pink and grey, and with this sparkly pink leotard your gymnast will be so cute! Are you a fan of Evie from The Descendants? Dress like her with this black and blue long sleeve leotard, and a blue tutu. 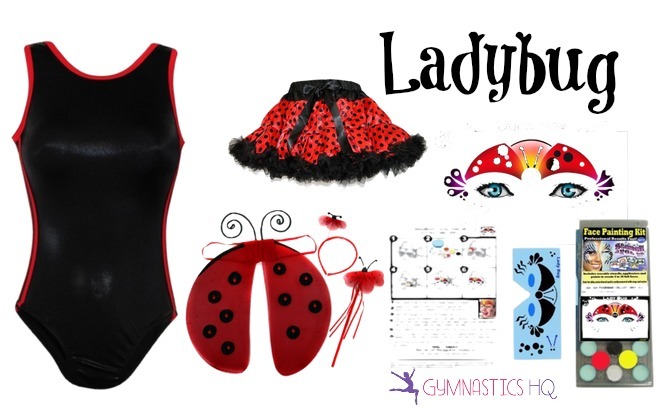 Which Halloween costume idea using a gymnastics leotard was your favorite? Can you think of any more — if so, leave your ideas in the comments! 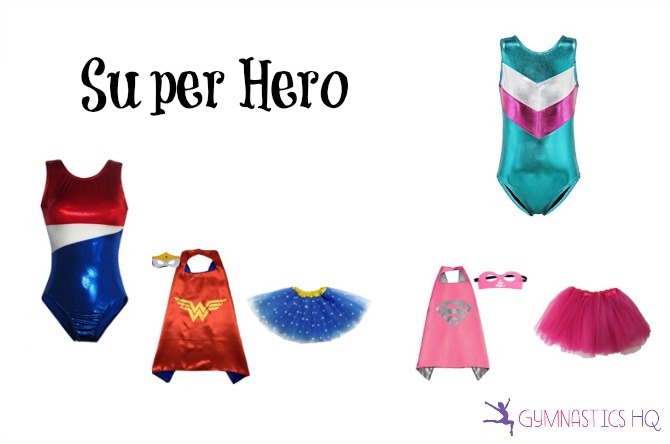 Thank you for the post on 26 Halloween costume idea using gymnastics leotards. My best friend and father to my godchild is, unfortunately, going to be out of town this Halloween on a business trip. It has fallen to me and my wife to create the costume for my little goddaughter. She absolutely loves Rapunzel so maybe I will show my wife the Rapunzel costume idea and see if that’s what we’ll go with.